Lewmar Windlasses There are 28 products. V1 Vertical Windlass (Gypsy) - For Boats 28 - 40 Ft., Max Pull: 1000 lbs. The Lewmar V1 Vertical Windlass (Gypsy) is the first compact vertical stainless steel windlass for both power and sailboats. Design conceals a robust, reliable, worm gearbox and offers maximum strength and control. Employ rope-chain or all-chain anchor rodes with touch of a button. Max Pull: 1000. For boats 28 - 40 ft. Select chain / rope size below. *3 Year Warranty! V2G Vertical Windlass (Gypsy) - For Boats 30 - 40 Ft., Max Pull: 650 lbs. 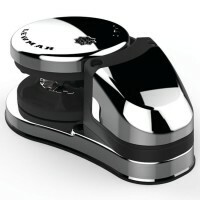 LEWMAR V2G Vertical Windlass (Gypsy) - Compact vertical stainless steel windlass for power & sailboats. Beautifully styled deck unit conceals a robust, reliable, worm gearbox offering maximum strength & contol. Employ rope-chain or all-chain anchor rodes with touch of a button. 700 W Motor. Max Pull: 650lbs. Stainless Steel. For boats 30 - 40 ft. Select chain / rope size. *3 Year Warranty! V2GD Vertical Windlass (Gypsy / Drum) - For Boats Up To 40 Ft., Pulling Power: 1433 lbs. 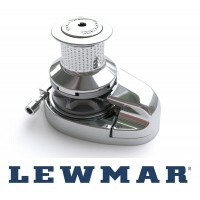 LEWMAR V2GD Vertical Windlass (Gypsy / Drum) - Compact vertical stainless steel windlass for power & sailboats. Beautifully styled deck unit conceals a robust, reliable, worm gearbox offering maximum strength & contol. Employ rope-chain or all-chain anchor rodes with touch of a button. 700 W Motor. Max. Pull: 650lbs. For boats 30 - 40 ft. Select chain / rope size below. *3 Year Warranty! 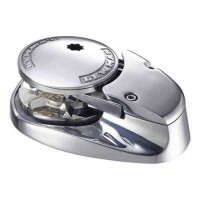 Lewmar V3G Vertical Windlass (Gypsy) - compact, vertical stainless steel windlass for both power and sailboats. 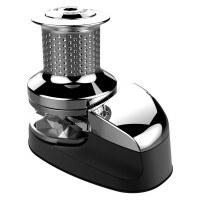 This beautifully styled deck unit conceals a robust, reliable, worm gearbox and offers maximum strength and contol. Employ rope-chain or all-chain anchor rodes with the touch of a button. 1000 W Motor. Maximum Pulling Power: 1962 lbs. For boats 40-50 ft. *3 Year Warranty! V3GD Vertical Windlass (Gypsy / Drum) - For Boats 40 - 50 Ft., Max Pull. : 1962 lbs. LEWMAR V3GD Vertical Windlass (Gypsy / Drum) - The first compact vertical stainless steel windlass for both power and sailboats. 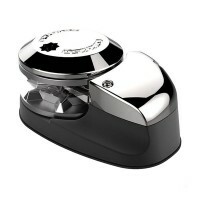 Beautifully styled deck unit conceals a robust, reliable, worm gearbox and offers maximum strength and contol. 1000 W Motors. Maximum Pulling Power 1962 lbs. Made of stainless steel. Select chain & rope / line size below. For boats 40-50 ft. *3 Year Warranty! Lewmar V700G Vertical Windlass (Dual Chain Gypsy) - For Boats Up To 35 ft. Max Pull: 700 lbs. 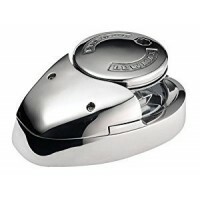 H2G Windlass (Gypsy) 12v 8mm - For Boats Up to 48 Ft., Max Pull: 1433 lbs. The Lewmar H2G Windlass (Gypsy) is part of the stylish, horizontal H-Series Windlasses that use reliable worm gearbox technology. Simplified wiring, waterproof seal, minimal maintenance, and easy to install / get started quickly. 700 W Motor. Max. Pulling Power: 1433 lbs. Stainless Steel. Gypsy for 5/16" G4 Chain & 9/16"-5/8" Line. For Boats Up To 48 ft. *3 Year Warranty! Mfg. #: LEW69600533. 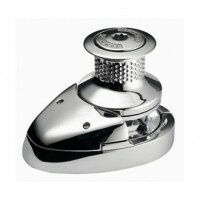 H2GD Windlass (Gypsy / Drum) 8mm 12v - For Boats Up to 48 Ft., Max Pull: 1433 lbs. 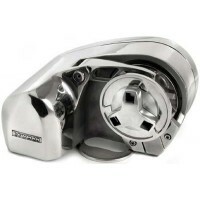 H3G Windlass (Gypsy) 12v RC8MM - For Boats Up to 55 Ft., Max Pull: 1962 lbs. 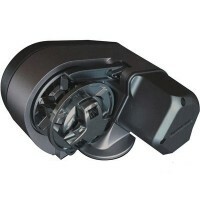 Pro 1000H Windlass (Gypsy) - For Boats 20 to 45 ft. Max Pull: 1000 lbs. The Lewmar VX1 Vertical Windlass with 6/7 mm Gypsy, 300 watt motor. Like all Lewmar VX products, the VX1 is lighter, stronger & more efficient than any other in the market. Stylish stainless steel and composite construction. Max. Line Speed (m/min): 25. Approx. Weight: 24 lbs. Lewmar VX1 Vertical Windlass with 6/7 mm Gypsy, 500 Watt Motor. Like all Lewmar VX products, the VX1 is lighter, stronger & more efficient than any other in the market. Motor range 500 W in 12 Volt. Stylish stainless steel and composite construction. Max. Line Speed (m/min): 25. Approx. Weight 24 lbs. The LEWMAR VX1 GD Vertical Windlass with 6/7 MM Gypsy & Drum, 500 Watt Motor. Like all Lewmar VX products, the VX1 is lighter, stronger & more efficient than any windlass other in the market. Motor range 500W in 12 Volt. Stylish stainless steel and composite construction. Max. Line Speed (ft/min): 82. Maximum Pull: 1488 lbs, Boat Length up to Approx. 34'. The Windlass Lewmar VX1 GO 6/7 MM Gypsy & Drum, 500W Motor. Like all Lewmar VX products, the VX1 is lighter, stronger & more efficient than any windlass other in the market. Motor range 500W in 12 Volt. Stylish stainless steel and composite construction. Max. Line Speed (ft/min): 82. Approx. 69100037. Maximum Pull: 1488 lbs, Boat Length up to Approx. 34'. Lewmar CPX1 Vertical Windlass 12v Gypsy Only for 1/4 "G40 Chain 1/2" Line - Lighter than the all stainless steel deck unit, the CPX deck unit features an alloy base and a reduced number of parts without compromising on performance. Easy to service. State of the art motor/ gearbox. 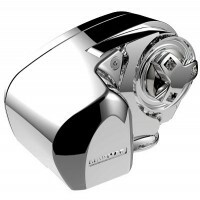 Highly reliable, lightweight, high-performance windlass. 6671011000. Lewmar CPX3 Vertical Windlass 12v Gypsy Only for 3/8" Chain 5/8" Line - Lighter than the all stainless steel deck unit, the CPX deck unit features an alloy base and a reduced number of parts without compromising on performance. Easy to service. State of the art motor/ gearbox. Highly reliable, lightweight, high-performance windlass. LEWMAR CPX2 Vertical Windlass 12v Gypsy Only for 5/16" G4 Chain 9/16" Line - Lighter than the all stainless steel deck unit, the CPX deck unit features an alloy base and a reduced number of parts without compromising on performance. Easy to service. State of the art motor/ gearbox. Highly reliable, lightweight, high-performance windlass. 6672011002. Free US Shipping! 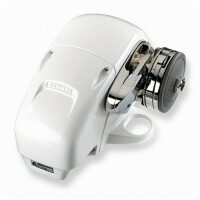 LEWMAR Profish 700 Free Fall Windlass W/ Rocker & Contactor is the ultimate windlass for fishermen. The Pro-Fish has an automatic freefall that allows you to pull right up over a wreck or ledge, and drop anchor with speed and precision. No more running your motor or wasting fuel while you hover fish. Retrieve your anchor with the push of a button. 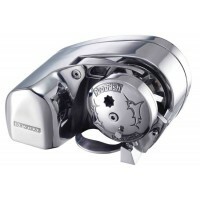 Plus, the Pro-Fish is DIY ready and made of durable 100% 316 stainless steel. The Lewmar Profish 1000 Free Fall Windlass 9/16"LINE 5/16"G4 has an automatic freefall that allows you to pull right up over a wreck or ledge, and drop anchor with speed and precision. No more running your motor or wasting fuel while you hover fish. You can retrieve your anchor just as easily, with the push of a button. 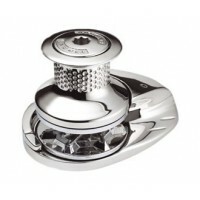 Plus, the Pro-Fish is DIY ready and made of durable 100% 316 stainless steel. Lewmar V2G Vertical Windlass Gypsy Only 5/16 G4 & 1/2 is the world's first compact vertical stainless steel windlass for both power and sailboats. This beautifully styled deck unit conceals a robust, reliable, worm gearbox and offers maximum strength and control. Plus, you can employ rope-chain or all-chain anchor rodes with the touch of a button. Gypsy Only 5/16 G4 & 1/2. For boat 9 to 12m (30 to 40ft). 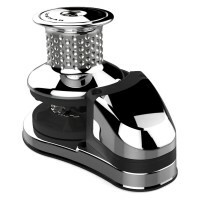 The Lewmar Pro Series 700H Anchor Windlass W/ Rocker & Contactor with 6-7 mm to 1/4" Kit is a shining example of Lewmars commitment to provide quality products for boats from 6m-11.5m (20-38 ft). Its DIY-ready, easy to install and housed in 100% 316 stainless steel, making it well protected and durable. And with push-button control and a built-in manual emergency recovery system, anchoring has never been easier. The Lewmar CPX1 12v Gypsy Only 5/16" Chain 9/16 Line is developed to compliment the current V-range. Lewmar has developed the new CPX range. CPX windlasses feature the tried and tested worm-wheel gearbox architecture and use quality materials throughout - hard anodized aluminium for the base and cast stainless steel for the gypsy top cap and chain pipe cover. 6671011001. *Free US Shipping!